See how Lucidchart can help you develop and support cloud software. Keep your website or platform up and running. In Lucidchart, you can easily visualize the current state of your infrastructure and plan out your future state to optimize performance. 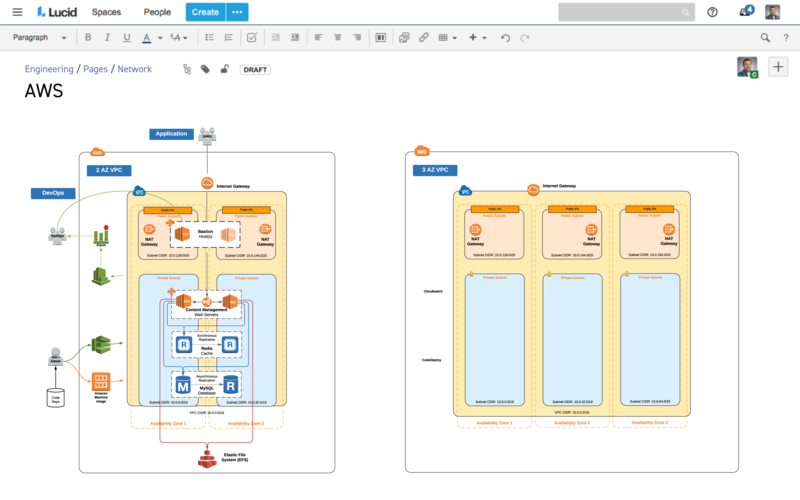 Get started with our Visio stencil import and shape libraries for AWS, GCP, and Azure. Visualize your network infrastructure to identify trouble areas and resolve them quickly in order to keep customers happy and avoid losing revenue. 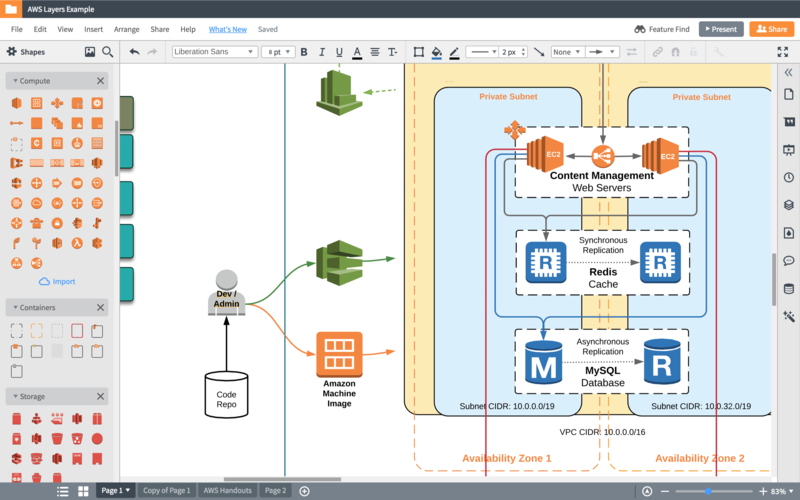 You can even use Lucidchart to create a visual dashboard that monitors the performance of your cloud instances to help prevent problems before they even occur. Before you introduce new features into your software, you need to make sure you have the infrastructure and bandwidth to support that functionality. 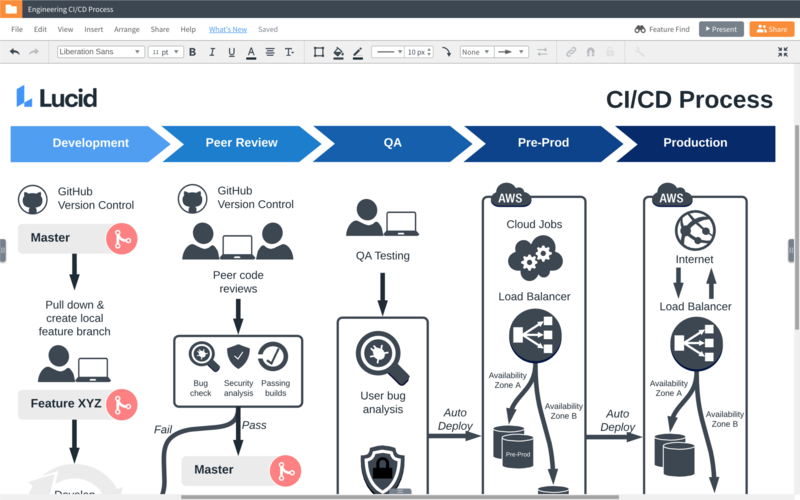 Use Lucidchart to define your development and deployment processes and share them with developers, QA, and stakeholders for better understanding all around. Visuals make it easier for employees to become familiar with your network and systems, whether they’re new to the company or simply moving between teams. 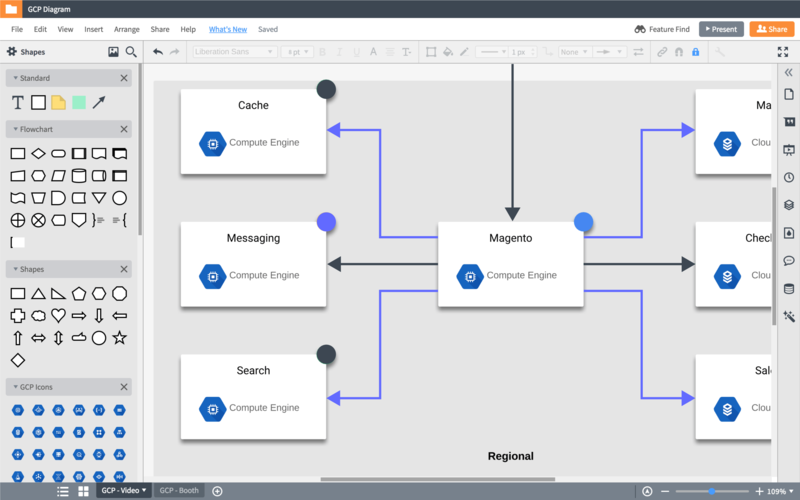 Once you build your network diagrams in Lucidchart, you can use our integration with Confluence to ensure everyone has easy access to them at any time, helping your entire org to stay on the same page. Each restaurant that Breadcrumb services has a wireless network that’s either set up or optimized for our service. In order to provide all the right support to those restaurants, we need a network diagram. And we came up with Lucidchart to supply and store reference network maps. It did what we needed it to do. . . . We can very quickly and easily draw a network. We can use images from Google or the actual images of the products that we’re using. And we can take links to network charts and put them in our CRM tool quite easily.